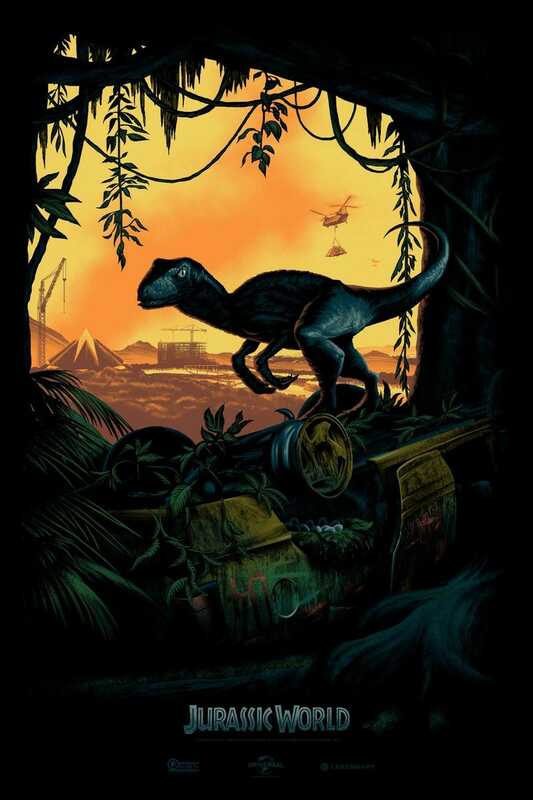 I'm liking the look of this Jurassic World poster, released today at Comic-Con, despite my extreme prejudice against scientifically inaccurate dinosaurs that have no feathers. Nice to see the dinosaur hanging out in the garbage near a city construction site. Urban raptors are the next logical step. An early rumor about the plot to Jurassic World suggested that the park had reopened, but fallen on hard times. So maybe the junk we're seeing is the debris of a fading amusement park? Or maybe the dinos have gotten out into Costa Rica again, the way they did in the previous movies? OK, whatever it is — I'm liking the "extinction is nigh" feeling. And I love the art, which is by Mark Englert.